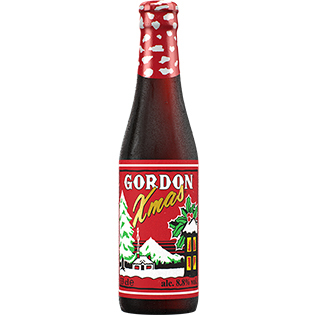 The original Christmas ale, Gordon Xmas started the tradition of Christmas brews. 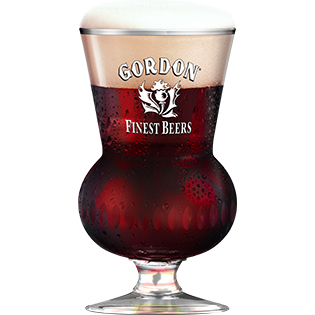 To accompany Christmas dinners and New Year evenings, it dons its party clothes, while its marrowy foam melts in the mouth as the white flakes on a red background tickle the nose. Never forget to put it under the Christmas tree ! 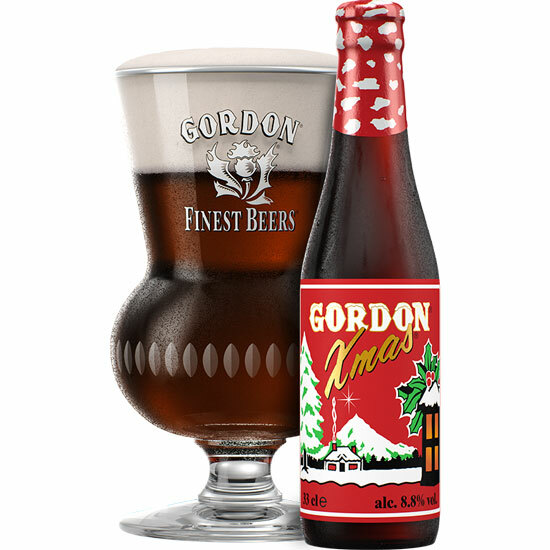 Gordon Xmas : a seasonal Christmas beer with an intense flavour and considerable body. The flavour unfolds gently but steadily from the very first mouthful. The stringent woody notes combine with a sweeter base without either flavour gaining the upper hand. The sweetness lingers on the palate, and the stringency remains in the throat.